Poor care for women pregnant with twins and triplets is resulting in 100 stillbirths a year, research suggests. NHS hospitals’ failure to follow official guidelines on multiple births is also responsible for 630 unnecessary C-sections and 1,300 infant admissions to intensive care each year, experts found. Their research project, funded by the Department of Health, focused on ensuring 30 British maternity units followed official guidelines to the letter over a year. Experts found this vastly improved outcomes for twins, triplets and their mothers. Guidelines published by the health watchdog Nice in 2013 laid out clear advice for doctors about how to treat high-risk multiple-birth pregnancies. They include extra scans, using doctors and midwives who specialise in twin births, drawing up a detailed care plan, and having a point-by-point strategy for how to deal with a premature birth. Signs of premature labour must be discussed with women by 24 weeks of pregnancy and discussions about delivery should occur by 32 weeks. But the Twins and Multiple Births Association (Tamba), which ran the project on behalf of the Government, said it was ‘pot luck’ whether NHS hospitals followed the guidance. They spent three years making sure the rules were being followed –and found it resulted in a 6 per cent reduction in neonatal intensive care admissions and a 3 per cent reduction in emergency C-sections. 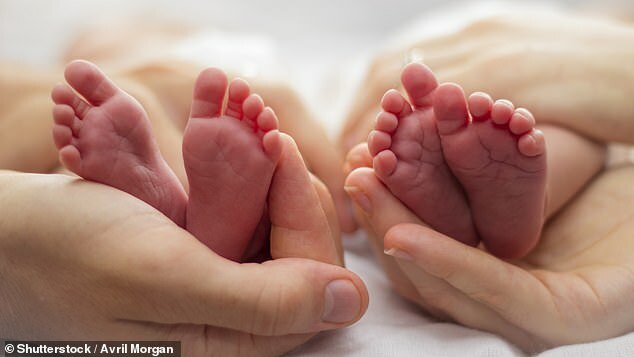 They calculated that if all hospitals followed suit, stillbirths from multiple-birth pregnancies would fall 70 per cent by 2024, saving the lives of 100 babies a year across the UK. It would also save the NHS £8 million a year. Keith Reed, chief executive of Tamba, said: ‘Following Nice guidance on multiple pregnancies works. The Department of Health said: ‘As part of the NHS long-term plan, the number of stillbirth and neonatal deaths over the next five years is planned to halve.